Thinking is the most important mental process we use on a daily basis. It helps us to interpret and organise information and experience. It also allows us to plan, learn, reflect, and create. Even now, you’re thinking while reading this. You’re unknowingly learning, defining, and organising all at once. But this process can often have a negative impact on our well-being. A term that you are probably aware of: Overthinking, is the inability to let go of every minute detail that’s passing through your mind, which can induce stress, anxiety, frustration, etc. But how can we shape our thinking so that we avoid overthinking? Be creative: The creative process is the act of making new connections between old ideas, or recognising relations between concepts. It’s not just about generating something new from a blank slate, but it’s making something entirely new out of what you already had. The key to being creative is to first gather material to work with, then allow your mind to thoroughly examine what you have. By stepping away from the problem, you can look at the bigger picture, and perhaps utilise aspects you hadn’t considered previously. Being creative isn’t a natural process, it’s just that some people are able to analyse situations from a wider angle or at a faster pace. Make smart decisions: According to recent sources, our generation has started to make less-rational decisions. Our choices have started to become influenced by emotion and feelings rather that logic. Our response to events depends entirely on the situation itself. But some could argue that being rational has more benefits than allowing one’s feelings to take control. One way to avoid this is to stop overestimating the consequence of situations, and instead, overestimate the value of your response to it. This teaches you that you are not in control of what’s to happen, but instead, what you choose to do about it. Another important point is procrastination. To stop yourself from procrastinating, give your mind the space to understand the value of consequence, and the domino-effect it can have on the other aspects of your life. Improve concentration and focus: Focus and concentration are quite hard to master, especially since we find ourselves busy majority of the day. The main key to learning how to concentrate on what’s in front of you, is to ignore everything else. Have the control and strength to be oblivious to what’s around you. This might seem like you are closed off from the rest of the world, but in reality, you’ll open up a variety of ideas and thoughts you weren’t initially aware of. This also strengthens you mentally, as you are able to resist distractions more and more. So these are 3 of the many ways I find help me to thinking efficiently. When I’m consciously making changes to the frame of my thoughts, it helps me to become a holistically aware person overall. Writing my article had many challenges, since I dealt with a complex, sensitive topic such as racism. I was able to delve deeper into how people spread harmful ideologies to this day, which really taught me the value behind the event’s I researched. In the end, I think I produced something that conveyed the impact of racism on society, and emphasised that it was still evident that people experience these on a day to day basis. One piece of feedback was about the choice of events that I decided to include in my article. Overall, it was a rewarding experience that gave me a chance to tell a story from a journalist’s perspective. One topic I enjoyed talking about was the impact of one’s culture on their gender identity. Having come from a relatively traditional culture, I was able to relate to some of the gender roles/stereotypes that we learnt about. We also covered the sociocultural expectations that many people experience based on their femininity or masculinity. 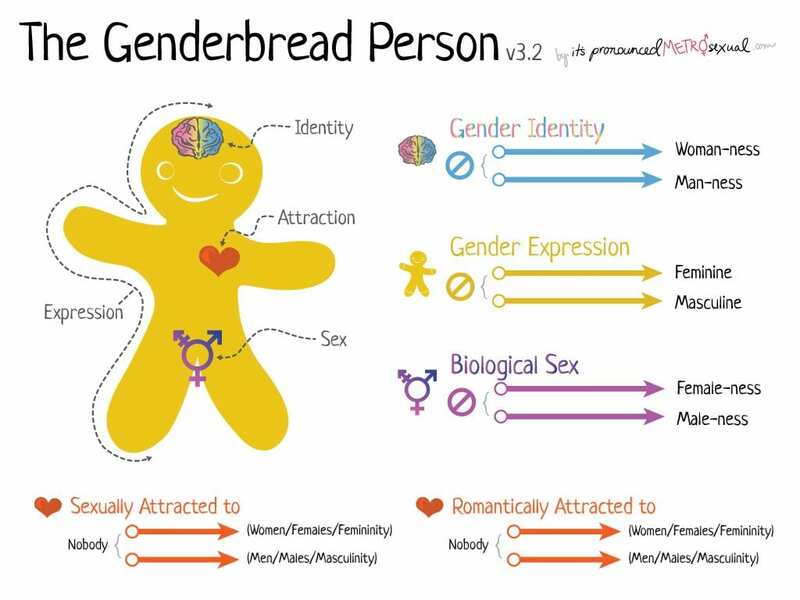 My biggest takeaway is how gender and sexuality are such broad factors of someone’s identity. I think that one of the reasons the LGBTQ+ community faces discrimination is because people aren’t able to differentiate these factors, or understand the concept of individuality and knowing yourself. It is clear that people must be accepting of others if they aren’t able to move on or process information quickly, and we were able to put that into perspective by going through situations where we were required to be open-minded and understanding of a friend/loved one. What role does racism play in our world today? discovered cures for diseases, invested in green energy, and done countless other things to make our world a better place. It’s strange to think that we, as a population, have overcome the obstacles that are known as history today, but are yet to solve the puzzling mystery of how we treat each other. Racism, the concept of deciding superiority on one’s race, ethnicity, or culture has been prevalent from before the 19th century, where it had really matured and spread across the world. But even before that, in kingdoms, people of a lesser class would be judged by their country of origin or the colour of their skin. Back then, they could induce racial offense through fewer wages, more labor, reducing social privileges, which therefore lead to increase negative stigma around coloured people. But how is racism still prevalent today? In the 21st century, we all have accounts on social media, which gives us a platform to speak our ideas and opinions, even when uninvited. As many of us online-users have heard, this social media does have its benefits. People have never been able to connect to such a large network of individuals before, making our world a tighter-knit community online. But is it possible that this new platform amplifies some of the racist views that are already prevailing in the real world? Is it boosting the amount of attention it really deserves? One current example explains the consequences of racism in our generation, and how it can lead to more violence and social disruption. Chicago police are investigating the alarming attack as against Smollett, who is black and openly gay, as a possible hate crime. “I am working with authorities and have been 100% factual and consistent on every level. Despite my frustrations and deep concern with certain inaccuracies and misrepresentations that have been spread, I still believe that justice will be served,” the actor continued. Celebrities such as Ellen, Naomi Campbell, and Oscar-winner Viola Davis have shared their outpouring support on social media, stating their opinions on racist and homophobic views. This is one of the many examples that stand out amongst the horrendous events lead by racist ideologies. Another incident occurred on the 12th of August 2017 in Charlottesville, Virginia. 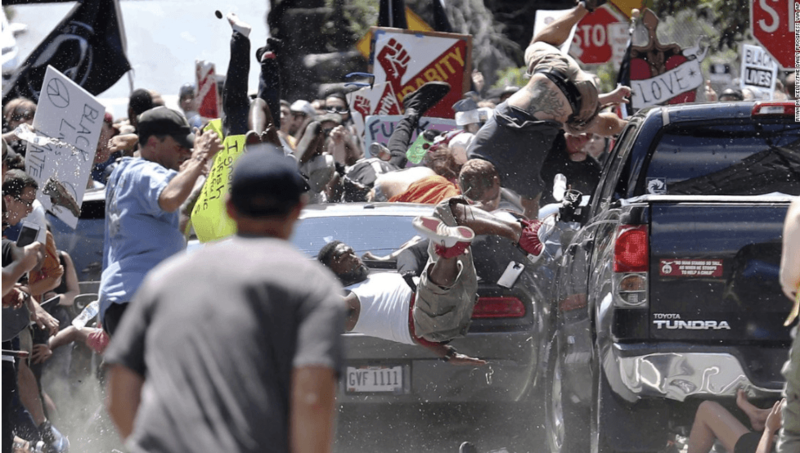 A demonstration against the White Supremacist rally was going on until a car plowed through the protestors, killing one person and injuring 19 others. According to The Huffington Post, hundreds of protestors had met together to oppose the white supremacist gathering, parading in confederation while chanting ‘Black Lives Matter!’. “It was just terrifying”, said Thomas Pilnik, who lived in Charlottesville for 5 years captured the scene on video, “I remember people flying into me, telling me to run and get out of the way and watching people fly like they were just bowling pins”. He described the attack as a ‘beautiful moment ripped away from us’. Videos show the vehicle pushing through a group of activists at a high speed, running over those who have fallen, as bystanders are grabbing others out of the way as fast as they possibly could. On multiple sources, reports announced this as ‘domestic terrorism’. These are just a few of the thousand acts of violence that occur on a daily basis within countries, usually targeted towards a highly populated area by extremists, people who have acted out their hatred and bigotry through violence and mass-murders. Is this really where we should be today? Did our people who went down in history fight for change and the unification of races, only for us to be brought upon the same fate they suffered through decades ago? It’s devastating, the death tolls that occur annually due to the shootings, bombings, and other acts of violence driven by hostility and revulsion. If that is what our world has come to today, the millions of people, hours, dollars, and lives went to waste trying to make change for good. It has been revealed by current news that this attack was rehearsed and stages by Jussie Smollet himself. According to CNN, he payed the 2 suspects prior to the orchestrated attack. 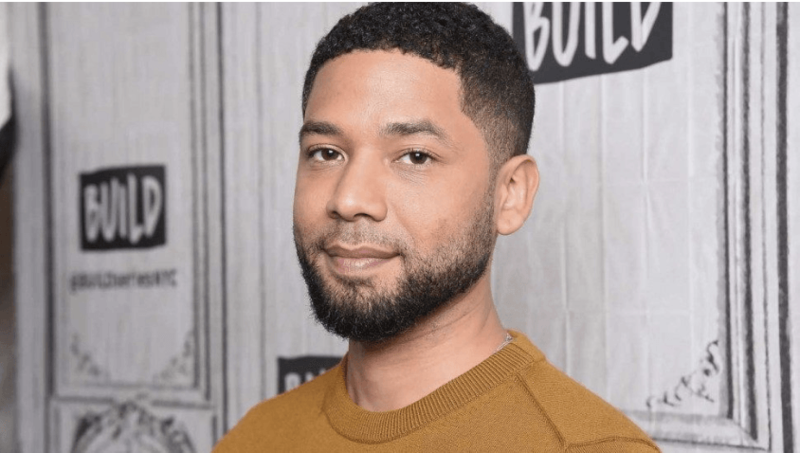 No sources have confirmed the reason for Smollett’s actions, but the actor has denied any claims pertaining to staging the attack. 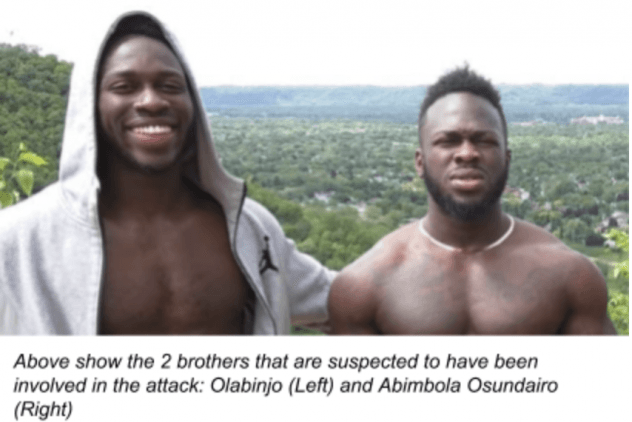 A police source told CNN that the attackers had previous connections with Smollett, but no further details were provided. Meanwhile, the actor expressed his irritation in not being believed as he explained in an interview: “It feels like if I had said it was a Muslim or a Mexican or someone black I feel like the doubters would have supported me a lot much more,” he continues in frustration, explaining how this “says a lot about the place where we are as a country right now”. If what sources are claiming are to be true, this will have a huge impact on future victims of racism, because people might have a hard time believing if any attack is staged or not. Jussie Smollett was a huge role model for the LGBTQ+ community, and of course people of colour. The setback that these people might be feeling truly cannot be expressed in words. Jussie Smollett’s current sentence has not been confirmed, but Express has predicted that he is to face 1 to 3 years of jail time if found guilty. Sayers, Devon M. “Virginia Governor to White Nationalists: ‘Go Home … Shame on You’.” CNN, Cable News Network, 13 Aug. 2017, www.cnn.com/2017/08/12/us/charlottesville-white-nationalists-rally/index.html. Murdock, Sebastian. “’Beautiful Moment Ripped Away’ As Car Plows Into Anti-Racist Group In Charlottesville, 1 Dead.” Razor Tie Artery Foundation Announce New Joint Venture Recordings | Razor & Tie, Rovi Corporation, 13 Aug. 2017, web.archive.org/web/20171104012739/https://www.huffingtonpost.com/entry/during-racist-charlottesville-rally-car-plows-into-crowd-of-people_us_598f422fe4b09071f69a019e. 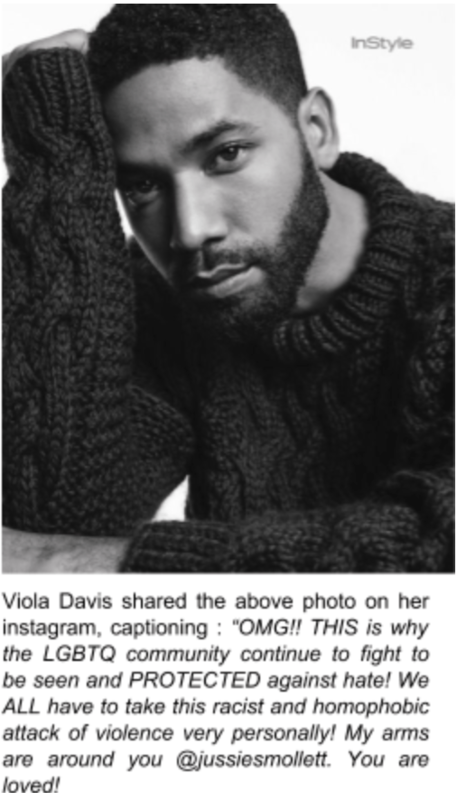 “Viola Davis on Instagram: ‘OMG!! THIS Is Why the LGBTQ Community Continue to Fight to Be Seen and PROTECTED against Hate! We ALL Have to Take This Racist and…”.” Instagram, www.instagram.com/p/BtOqYp5AkjQ/. Young, Alex, et al. “Police Release Jussie Smollett Attack Suspects without Charges.” Consequence of Sound, Consequence of Sound, 16 Feb. 2019, consequenceofsound.net/2019/02/jussie-smollett-suspects-released/. In this test, I think I did fairly better than I expected. I think I could’ve done better by using keywords such as ‘tetrahedron’ or ‘electrostatic attraction’ more often, as they specify what I am trying to describe more accurately. These errors cost me 1 mark, but were still very significant because they show a complete understanding of the structure and bonding of compounds. Chemical bonds are the attractions between atoms. These bonds include ionic bonds between 2 oppositely charged atoms, or a covalent bond, the sharing of electrons between 2 non-metals. Intermolecular forces are the forces that attract the molecules together, which are slightly weaker than chemical bonds. An example would be graphite, how each layer can slide off easily because the intermolecular forces are weak. But within each layer, where the carbon atoms are covalently bonded, this chemical bond is stronger, which explains why each individual layer is extremely strong, yet graphite is malleable. This session was slightly unique compared to the other ones, as it was lead by IB students. Each student introduced themselves and their interests, life in school, and what made them change the way they did. This was interesting because we got to hear such contrasting personalities, everything from a passionate ant-collector to a second language english speaker. Each student explained their challenges when they either first came to the school, or were exposed to something new for the first time. One student talked about his transition from his previous school to UWC, and the various opportunities granted to him when he came here. He explained how in his old school, academics was their main priority, and how that contrasted to UWC’s belief in the diverse selections of activities, hobbies, which are equally important to academics. It made me realise the confidence needed to cope with that type of transition, when you’re coming from completely different mindset. Another student explained his history with english, and how this was his 4th year learning english. He was fluent when talking, but explained how there was a lot of work and dedication involved in the last couple of years. He talked to us about how his way of practicing is talking a lot, which made us all smile. It was very inspiring to see someone put themselves out there, knowing that they could make a mistake, but doing it anyway. I aspire to have that kind of confidence throughout my school years. Lastly, it made me appreciate the wide range of opportunities presented to the alumni community here at UWC. I reflected on the amount of times I was able to interact with the local community, or a GC thousands of miles away, or be apart of a club where I could demonstrate my skills. This session was definitely eye-opening. As someone who enjoys staying in her comfort zone, I was stunned to see the number people in the world who enjoy pushing their limits as much as possible. One of those people is Mr.Stirrat, a high school math teacher at our school, who participated in the world famous annual marathon: Des Sables. This marathon is 240Km over 6 days, in the hot desert. Mr.Stirrat explained to us his constant desire for a challenge every once in a while. One part that stood out to me was how he was able to make friends despite the struggles he was facing. This happened because when you’re along with other people, experiencing similar struggles, you are able to bond over them as making friendships through hard times makes everything seem more positive and bearable. I also learnt the importance of resilience, both physically and mentally. This particular race seemed to push people in terms of physical and mental strength, which I really respect. The second session I attended was hosted by a history teacher in our school. When the session started, I assumed that he was about to explain to us a boxer’s perspective on racial slurs, stereotypes, etc. But it was entirely different. He started off by giving us some personal information, his life in Singapore, the UK, and the life of a university student. His energy and humour brought a whole new essence to the talk. It felt cheerful, lighthearted, which is not what most people would feel when talking about racism. He described a particular night during his university days, where he was going to the bar with his friends. He explained how he encountered a group of men, one man in particular, who called out to him, and said some offensive things about his skin colour. All of us were quiet when he told us this. He continued the story, explaining how instead of backing down in fear, or responding angrily, he said a joke that referred to a TV show: “I’m black?! Does Dad know?!”. This was a reference to a scene in a comedy show about a blind man on a train with his sister. He discovers that he’s black, and exclaims in public: “I’m black?! Does Dad know?!”. It was a hilarious turn of events, especially the way he was telling us the story, with the same energy even though it happened years ago. He then got to the boxing part, which is about how he and his friends were part of the boxing team, but no one noticed. I never thought of responding with humour in such a serious situation. It really made me think a little more about what situation I want to devote my energy to. This session really inspired me and taught me that in any situation you can only control your reaction, not someone else’s reaction. And the teachers sense of humour and cheerfulness made this talk much more enjoyable. This past week, all grade 9’s were given the opportunity to walk around to different classrooms to gain insight and perspective from someone who has something significant in their life to share. We were able to ask them questions about their experiences, their regrets and hopes, and if they were connected to UWC, how their time here helped them after graduating. As a reflection, I will share my experience with each session I attended, and explain how my thinking changed, and any other important lessons that came out of this week. In this first post, I will discuss the first session I attended, which was lead by Daniel Bennet, a professional footballer from the UK who came to Singapore at the age of 2. He was a student at UWCSEA East and graduated with an honours degree in Sports Science. When I first entered the room, I assumed that the disadvantages of being a sportsman revolved around it being a shorter career than most due to physical limitations as you get older. But I heard as we went through the session, that it’s much more than that. We were told that being foreigner on the local team, it does come with some setbacks, as you may not click immediately. I was stunned that ethnicity/culture could be a factor in a sportsman’s career, as I thought it was only about skill and talent. He talked about the friends he made, and the lack of interest and passion our society has for football, specifically narrowing it down to the local community. I was surprised to hear this because I assumed they were even more passionate about the sport. He mentioned some possible improvements that the Football community can make to make it a closely-knit group that made people feel welcome. Towards the end he let us in onto his career outside of football, which resides in the field of real-estate. He talked about how it gave him a break from football, which made sense after learning that he trains 5 times a week, and it gives him a plan after he retires from football once and for all. In general, this session was very enriching, as it explained the smallest of differences people can make, and the impact of those differences. This reflection will be targeted towards my reports, and my academic progress so far. I have been impressed with my results in some areas, knowing that my working habits and diligence are factors. I will continue to apply these skills to future assessments/projects that come my way, in order to progress further. In other areas, my grades show room for improvement. These areas have specific goals and plans that I plan to focus harder on, to achieve a higher level. Overall, my grades have been satisfactory. Most of my grades were to my expectation, and few were slightly higher. I look to improving my expectations, which will motivate me to submit any work of higher quality. Applying skills such as time management and self-management, I will balance my work wisely, and prioritise what’s urgent over important to be efficient.